Xiaomi has started rolling out MIUI 9.2 Global Stable ROM, Changelogs includes App Vault, New Gallery editor, and Mi Video app are included with this update. Xiaomi has also mentioned that KRACK WPA2 security vulnerabilities have been fixed with this update. As per users, Dual Notifications bug for Whatsapp and Telegram applications has been fixed. 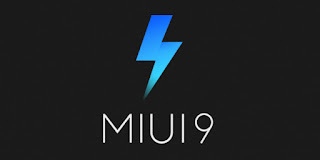 MIUI 9.2 Stable update is already available for Redmi Note 5A/Redmi Y1 Lite, Redmi Note 5A Prime/Redmi Y1, Mi MIX 2, Redmi 5, Redmi 5 Plus, Redmi 4 Prime, Mi 3, Mi 4, Mi Note, but Xiaomi has not officially announced any timeline for an update for rest of the devices. You can check out our posts on Mi Video App and App Vault to know about these features.